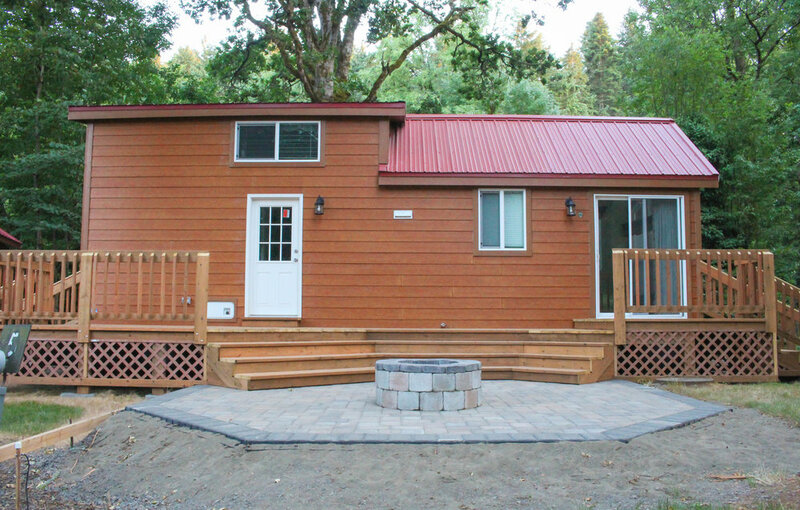 Downsize and LIVE LARGER at Hope Valley with a Tiny Home. • A secure, natural setting at the foot of the Hope Valley Butte. • 5 mins from shopping and restaurants! They're factory-built (to the exacting standards of the ANSI Code) by top manufacturers Fleetwood, Cavco and Palm Harbor, and feature all of the comforts you expect... And once in place at the resort, options include adding a deck, storage shed and an extra "cabana room" of 240 sq. ft.
What Is A Tiny Home Made-of? • Roof: made of 29-gauge, 36" wide Nor Clad, in Rustic-red color. YES they do (Whirlpool appliances are standard), and bathrooms/showers are full-sized also. What about the bedroom? They're designed to easily accommodate a queen-size bed along with plenty of closet space. Yes, and you can view the Tiny Home warranty info by downloading the linked file.